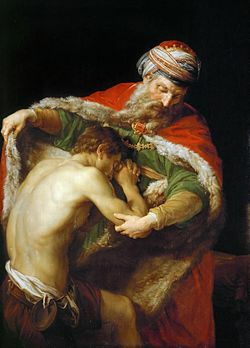 With one of my usernames on a recovery blog site being “prodigal returned,” I cannot not comment on today’s Twenty-Four Hours A Day reflection. 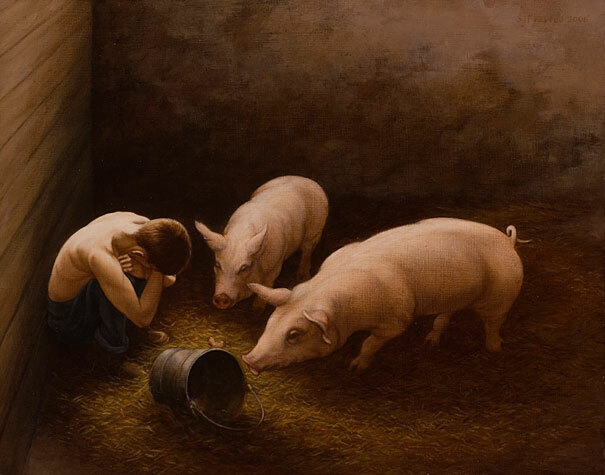 Yes, I have squandered my Father’s resources, indulged in “riotous living” and ended up sleeping with the pigs, longing to go home, not even worthy to be called a son, but just wanting a place to call home. Certainly one of my favorite sections in Scripture is this portion in the Gospel of Luke, chapter 15. This solid-gold chapter includes three “lost but found” parables about the lost sheep, the lost coin, and the lost son. One of the most difficult things we will ever do in recovery, and in life, is to humble ourselves, push away our pride, and deal with our resentments by making amends. The only way we can truly do that is to remember where we have come from. We can forgive another and ask for forgiveness because we have been forgiven. 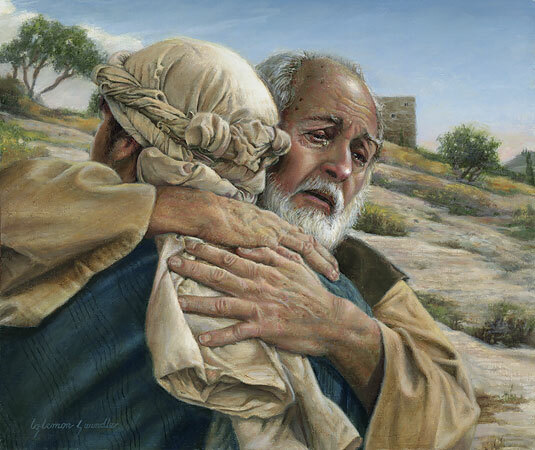 Thankfully, and grace-fully, these words are not so much about the lost son as about the loving father, who welcomed his ragged, smelly son home after watching and waiting for him for so long. 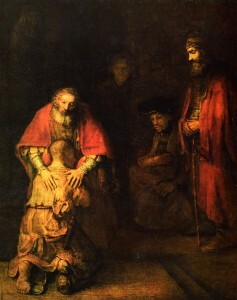 It was right that he should celebrate and have a huge feast because his son, who was spiritually dead, is now alive! He was lost and is now found! It doesn’t matter that his son’s self-righteous older brother hated him and could not understand such unconditional love. In 12-Step language, we could say that the older brother still has not completed Step 1, as he is failing to realize his own life is unmanageable and out of control through his prejudice and self-righteousness. He cannot move on to Steps 2 and 3 and come to know a God who loves him no matter what he‘s done or where he‘s been sleeping. 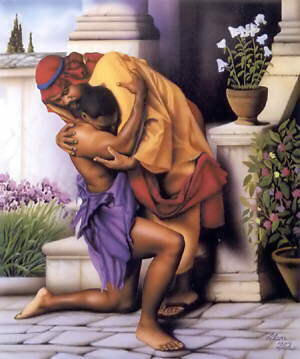 The loving father understands, forgives, heals, and welcomes his resurrected son home. The Prodigal Son “took his journey into a far country and wasted his substance with riotous living.” That’s what we alcoholics do. We waste our substance with riotous living. 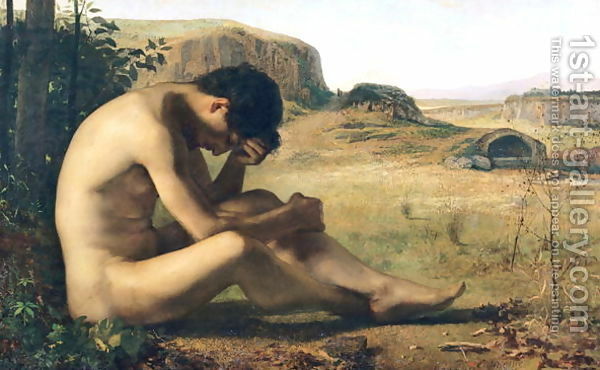 “When he came to himself, he said: “I will arise and go to my father.” That’s what you do in AA. You come to yourself. Your alcoholic self is not your real self. Your sane, sober, respectable self is your real self. That’s why we alcoholics are so happy in AA. Have I come to myself? This entry was posted in Uncategorized by Beyond. Bookmark the permalink. Someone essentially help to make seriously articles I would state. This is the very first time I frequented your web page and thus far? I surprised with the research you made to create this particular publish incredible. Great job!